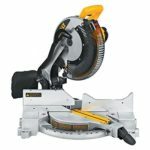 Deal on the Dewalt Flexvolt 120V 12″ Sliding Miter Saw DHS790T2 Kit for only $499 with free shipping. 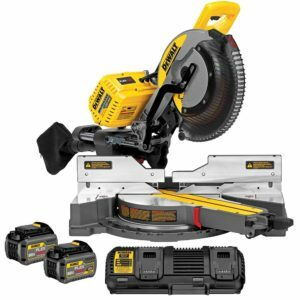 This is the lowest price we’ve seen for this full size cordless 12 inch sliding miter saw that runs on Dewalt’s Flexvolt batteries. 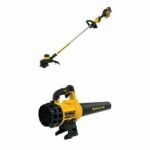 This is the T2 kit that comes with two Flexvolt batteries and double charger however unlike the AT2 kit, this does not come with the the AC adapter for plug in ability but you can still run the saw on battery power with the included batteries and charger. 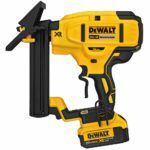 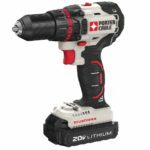 You could always buy the AC adapter for $49 separately to make this a plug in tool by clicking here.